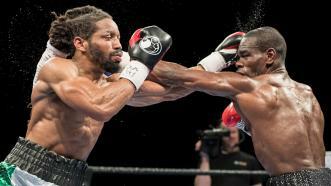 UD Two-time title challenger Edner Cherry gained a hard-fought unanimous decision over Omar Douglas in a 10-round bout. 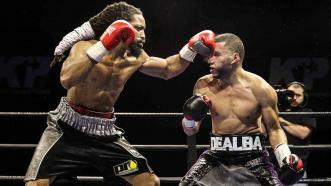 Edner Cherry used every veteran trick in his book against Omar Douglas as he turned the page toward another potential title shot. 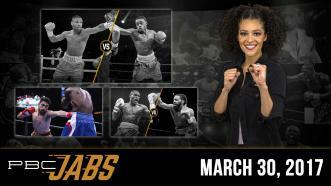 This week on PBC Jabs we take a look at the officially announced Kell Brook vs Errol Spence Jr. world title fight, we catch up with former world title challenger Josesito Lopez ahead of his April 9th matchup and we preview our upcoming April 4th PBC on FS1 show. 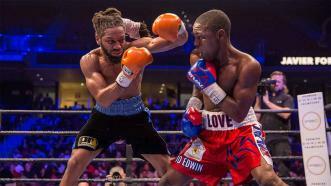 With their 133-pound fight up for grabs, Javier Fortuna and Omar Douglas went toe-to-toe for three exhilarating minutes in the 10th and final round. 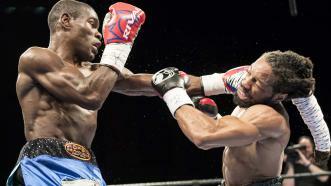 Javier Fortuna faced a stiff test in undefeated prospect Omar Douglas but edge Douglas out via unanimous decision. 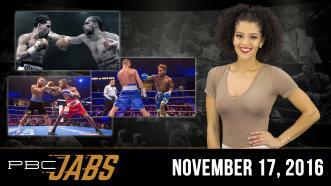 On this episode of PBC Jabs, Keith Thurman gets “up close and personal” with Danny Garcia, we get the down-low from “One Time” himself on his March 4th welterweight title unification fight with Garcia and we recap our hard-hitting November 12th Spike show. 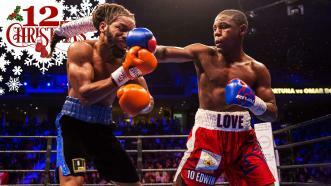 Javier Fortuna deliver a championship caliber performance by defeating Omar "Super O" Douglas. 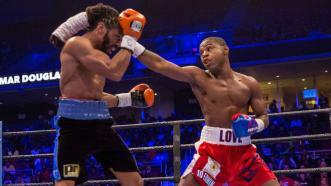 Omar Douglas outworked Frank De Alba over 10 rounds to win a majority decision and remain unbeaten.